Hard to believe until you try it, vinegar is the best grass killer and weed killer I've used. It is easy to get, inexpensive, safe to use in yards where children and pets play. If you want to treat a swath of weeds consider using vinegar. 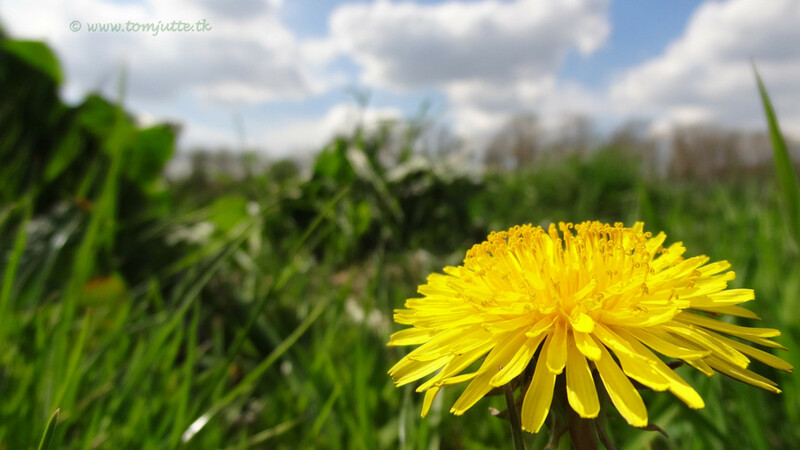 Weeds will disappear by spraying them with full-strength vinegar. 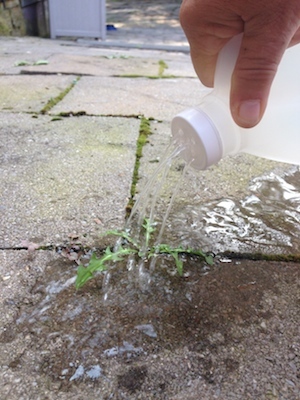 Keep an eye on the weather; if it rains, you’ll need to give the weeds another spray of vinegar. According to the Agricultural Research Service, ARS,"The researchers found that 5- and 10-percent concentrations killed the weeds during their first two weeks of life. Older plants required higher concentrations of vinegar to kill them. At the higher concentrations, vinegar had an 85- to 100-percent kill rate on all growth stages. 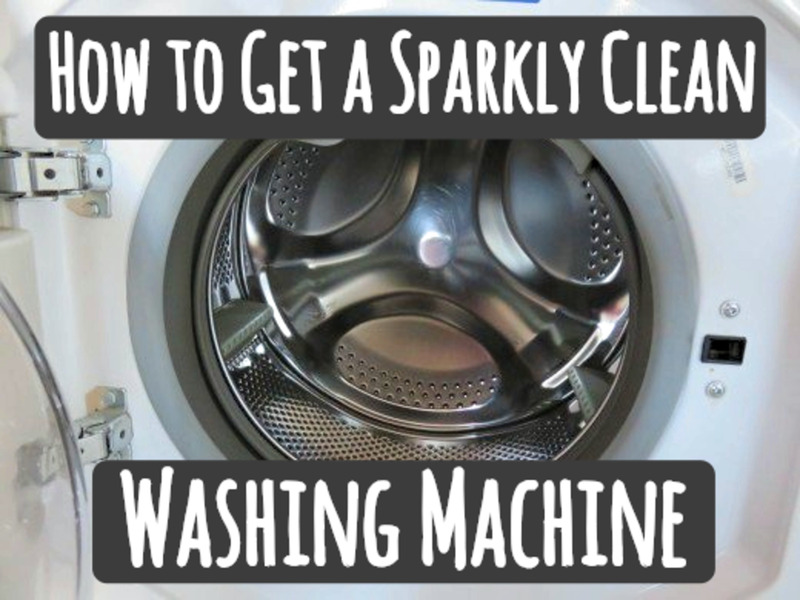 A bottle of household vinegar is about a 5-percent concentration." The killing ingredient is the vinegar. It works best on small, fast growing weeds. I used it as a sidewalk grass killer with great success. The sidewalk grass was dead in one full sunny day. The older weeds that grow back will be weaker, and many should die with a repeat application. Stronger versions, the 20% acetic acid vinegar, will kill bigger more persistent weeds, but it is also true that this strong version will burn you and requires extreme caution. If you have plants that are resistant to a lower acid concentration, consider multiple applications of the grocery store variety. The USDA issued a warning in their research report stating; “WARNING: Note that vinegar with acetic acid concentrations greater than 5% may be hazardous and should be handled with appropriate precautions”. Commercially available products: The enforcement wizards at Bradfield offer Bradfield Horticultural Vinegar via mail order. Bradfield Natural Horticultural Vinegar Weed Killer, 1 gallon Price: $28.99. Bradfield Natural Horticultural Vinegar is 20 % acetic acid an effective alternative to harsh chemical weed killers. Most effective on warm, sunny days. The heat of the midday sun will turn most plants totally brown 2 to 6 hours after application. The vinegar chemical formula of C2H4O2. 1/2 cup of salt. Any kind of salt will do. Mix. Apply directly to weeds. 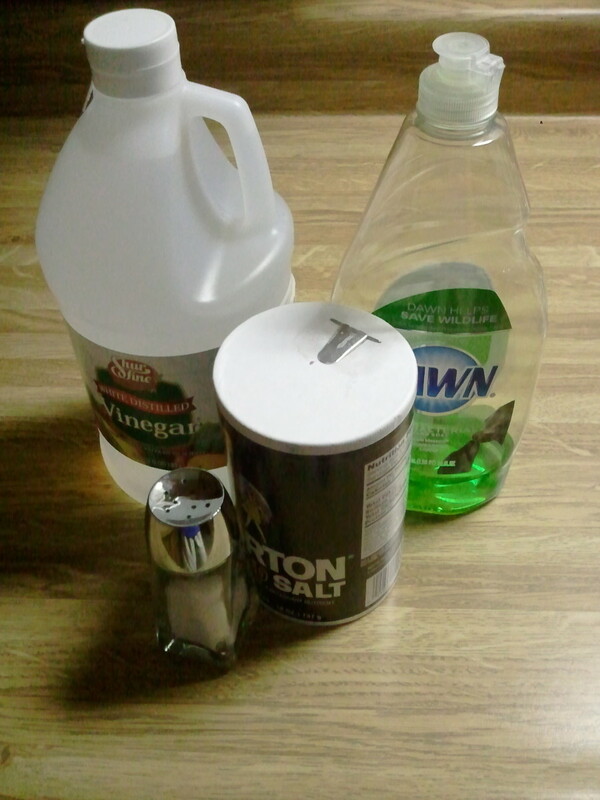 The combo of vinegar, salt and soap as a weed/grass killer is circulating around the internet and on a number of blogs. Regardless which variety you choose, they all work in varying degrees. Adding water only dilutes the potency of the vinegar. Use pickling vinegar which is more acidic than regular grocery store vinegar. Vinegar is a natural product, Vinegar is made of grain, apples or grapes. It is distilled through a fermentation process. Look for vinegar labeled at 5% acidity. Acetic acid is what makes vinegar a plant killer. The acetic acid kills vegetation because it draws all the moisture out of the leaf. Vinegar is non selective it will kill any plant it touches. Spraying full strength vinegar on a plant in full sun will produce results within a few hours, tougher or larger plants may take until the following day. Vinegar may or may not kill the root. It depends on the plant and it's age or maturity. 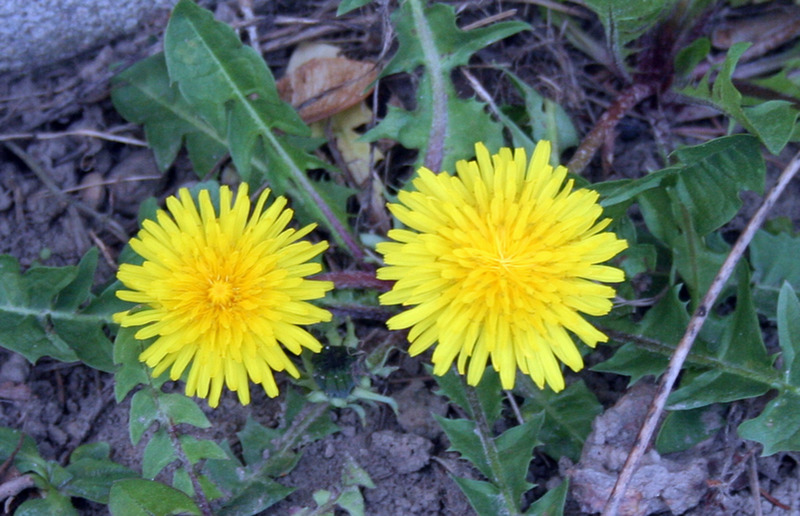 Small weeds may not be strong enough to regenerate. Older weeds may come back weaker and not survive a second application. Vinegar will temporarily lower the pH of the soil in other words it makes the soil more acidic. Add 2 teaspoons of soap per gallon of vinegar. Soap helps the spray's absorption. Hairy weeds or waxy leaves will resist an application because the vinegar does not reach or saturate the plant. Ordinary dish soap will help break down the cuticle or waxy surface of a plant, allowing the active ingredient, the vinegar, to reach the plant with it's killing effect. Soap also acts as a sticker. Salt will kill any plant. One half cup of salt may be added to the vinegar recipes to kill the plants when vinegar alone doesn't work. Salt remains in the soil and it leaches into surrounding soil. Use it sparingly in any formula, because it does not go away. If building healthy soil is your goal, skip the salt. Toss handfuls of baking soda over the tops of weeds growing in the cracks of driveways and sidewalks. Sweep any spilled baking soda on the driveway or sidewalk into the cracks. 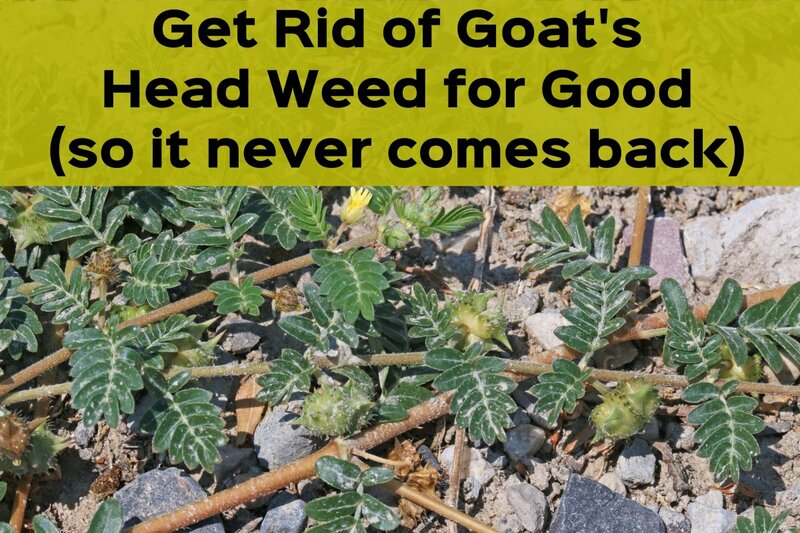 This method works well when the weeds are isolated from desired plants and grass. If the weeds have not been completely eradicated, reapply the baking soda in four to six weeks. Weed killer recipes often contain a bit of soap. This is known as a “sticker”, helping the soda stick to the plant (like the water). Salt in these recipes is an extra boost to kill the bigger more established plants. Baking soda works best when the weeds are growing fast in the spring and fall. Get ahead of unruly weeds the early applications. Young plants are most affected by baking soda. Baking soda does work during the summer, but not as fast. It can kill or damage landscape plants as well as weeds. Be careful where the baking soda lands. Save yourself some work and watch the weather forecast. After a rain, while plants are wet, is the best time for application. 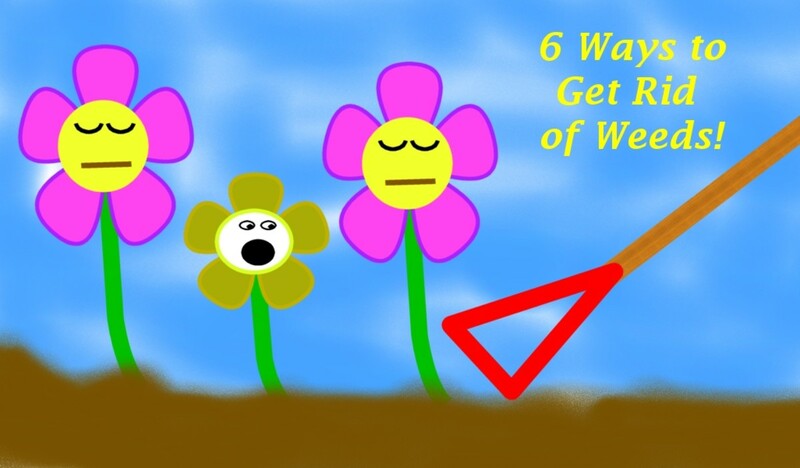 Alternatively, water the weeds with 1/2 to 1 inch of water if it has not rained. Sprinkle baking soda onto the concrete then, sweep it into the cracks where in weeds grow. If non-weed plants are hit with a baking soda they will also be damaged. 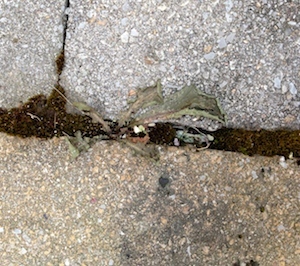 The repeated sodium applications make the soil in the cracks hospitable to all plant life. Baking soda acts as a desiccant, drawing the water out of plant cells in the foliage. This is the same process that causes plant damage from winter road salts. 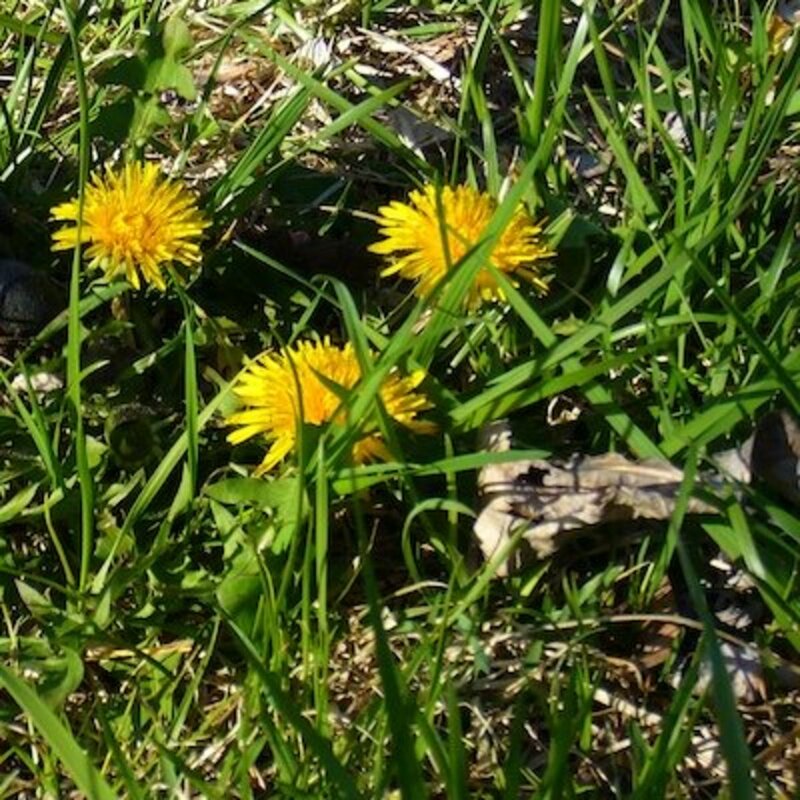 Those weakened plants along roadsides and sidewalks can die in harsh weather winters. Repeat the process as necessary throughout the growing season. Baking soda works on plant parts above ground. Roots are not affected. Every application weakens the weeds and reduces the chance of them growing again. Repeat treatments prevent weeds from recovering. Baking soda treatments work best when done early in the day, which is when plant activity is high and plant pores are open. Temperatures above 85 degrees Fahrenheit help speed the treatments' results. Simple boiling water works well to kill germinating seeds. For larger, deep rooted weeds. Sometimes I've had to re-apply. This keeps weeds from re-appearing for a long time. In the height of canning season, this works like a charm. I have a big boiling water bath canner running all day at the peak of tomato season. At quittin' time, the enamelware pot multi-tasks as an ant killer and a dandelion eradicator. I simply pour out the boiling canning water near the kitchen steps where the ants choose to come in the house during the drought. favored, You are doing this project exactly right to get the best possible results. Starting early and controlling weeds when they are small is the most effective. Thanks for the pin. It makes all the difference. I'm so glad I read this. We don't like to put any chemicals in our yard, so all these solutions will be helpful. This is something I will be trying in the spring. Pinning it so I don't forget. Thank you for reading my hubs. Vinegar kills only what it touches, so the roots are still alive, but weakened. It usually takes more than one application to get rid of them. I appreciate your vote. I really matters. DealForALiving this may start you reading labels. These ARE the main ingredients in many well known cleaning products. Thank you for reading my hubs and the positive votes. I makes a big difference. Frank Atanacio, just a reminder, this time of the year, it will take more than one application for big, deep rooted plants. Vinegar only kills what it touches. Is it just me or do vinegar and baking soda take care of everything? Natural ways are always the best. I had heard of this combination to kill weeds but it is always good to have confirmation by another source. I gotta try this... thank you so much!!! Thank you for reading my hubs. This late in the season, weeds are huge. It will take more than one application. I appreciate you stopping by. I'm passing this on to my hubby who tends to our landscaping. I love the natural remedy for weeds and it is a cost saver too. Thanks for sharing. MsDora, I appreciate your kind words. I sweep baking soda between the bricks in the sidewalk every three weeks. Once we got the weeds under control, it is easy to keep the sidewalk looking good. I am honored that you read my hubs. Thank you for your vote up. Faith Reaper,Thank you for your kind words. Little bare foot babes don't play out in the grass as much as they used to. But at least this makes me feel safer. Thanks for the positive words and votes, It really is very helpful. Now Patsy, I like everything you write about, but this here is something I need, can use and will use. Thank you very much. Bookmarking and voting up. This is fantastic! I will certainly give this a try, as I do have pets and grandchildren running about. Such simple solutions that are safe. 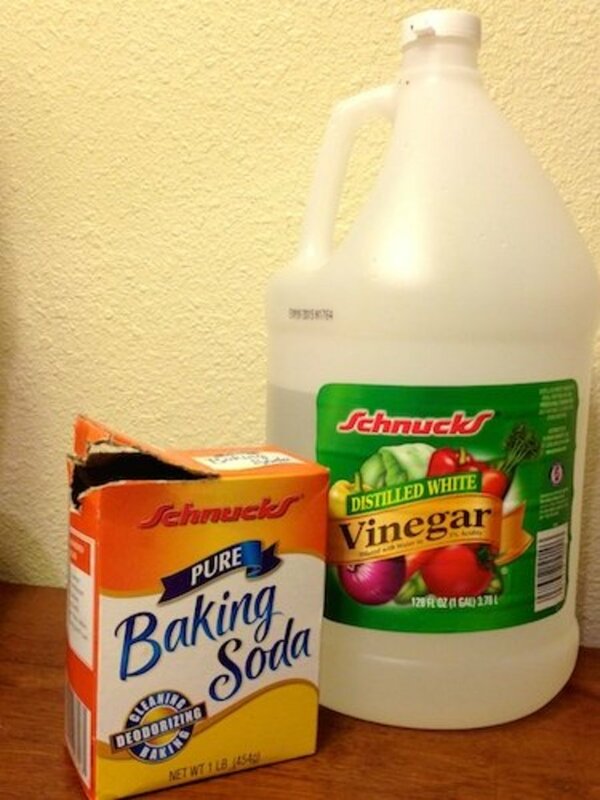 I am amazed at the many uses for vinegar and baking soda. Someone put vinegar on the weeds in front of where I work. There is this patch of weeds that is in the middle of the sidewalk and in a very awkward place for trying to get at and it was growing up so huge. They are now dying. It takes some repeated applications when you have weeds that have been around for a while. You just got to keep at it. It is a lot better than having to bust out with the weedwacker all the time. LadyFiddler, the is for weed control. It is not a pest or disease solution. It is simply a way toward making lighter footprint on our environment. Relationshipc, Once you get the problem under control, this is a good follow up to keep the weeds at bay. You might consider using a stronger vinegar. Setting up a routine spray schedule will help. I wrote this hub because my aunt said it didn't work. It works, with repeat applications. Kinda like brushing your teeth. You gotta do it more than once to prevent problems. This is awesome. I have dogs and don't want to use weed killer, but this will be awesome to use right at the edge of the house, and under my husbands wheelchair ramp. It is a pain in the neck to get the weeds under the ramp and they are starting to grow up through the ramp. I will love this permanent solution for that. I will buy some vinegar tomorrow and I have the rest of the stuff. You might check the 4th paragraph of the acetic acid section, it is missing some words. Thank you for sharing this with us. I've tried your weed killer recipe. I've tried boiling water. I've tried vinegar and baking soda. Each time I try, the weeds get worse. I think I may have some superweeds on my hands! Love this idea. I have also used hot, boiling salt water a couple times. I never knew that you could use vinegar for a weed killer. I am going to have to try it and see how it works. Very interesting article. Hi Patsy this is very interesting and new to me, i sometimes spray the yard for pesticides. Great tips! 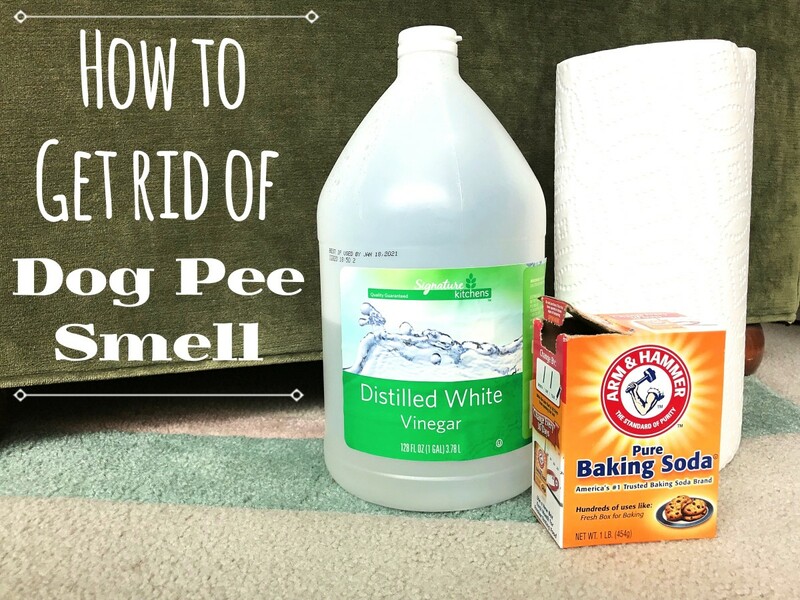 There seem to be so many uses for vinegar and baking soda--rather than using chemicals! This is great to know Patsy and I bet many others will want to know this too. Thanks for sharing and I will share too!